I was excited to have the opportunity to review this new, light alcoholic beverage. The main reason that it appealed to me was that I know that Michelob ULTRA has a reputation for making low-calorie beers. So, I figured that the cider would be about 90 calories for a 12-ounce bottle. 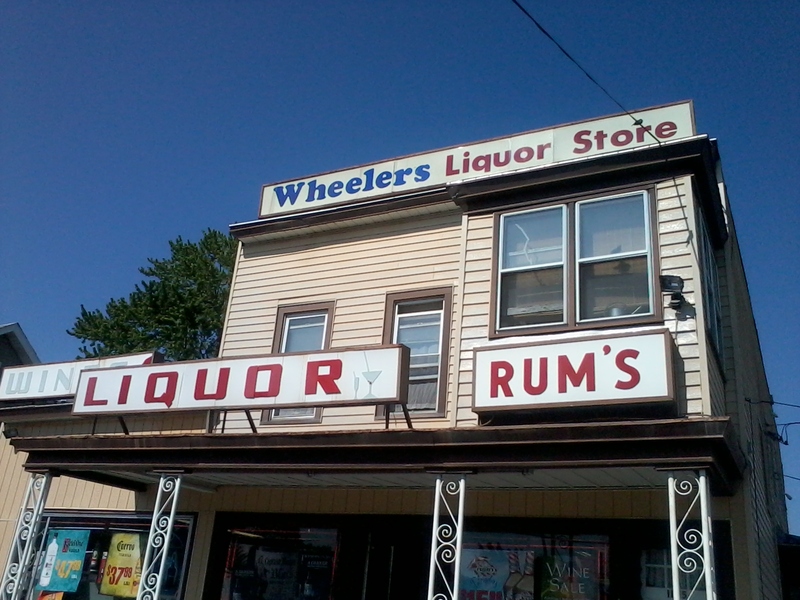 I went to a liquor store in Somerville that, unlike this one, which my cousin Joe sent me, had a properly punctuated sign. When I picked up the six-pack, I was a little bit disappointed to discover that the cider is 120 calories for a 12-ounce bottle despite the fact that it contains artificial sugar. Michelob’s promotional materials say that this cider has 1/3 fewer calories than a traditional cider, but I still felt that 120 calories was rather high for a beverage with only 4 percent alcohol. I brought a six-pack of Michelob ULTRA Light Cider to my book club so the girls could all try it. The product is marketed as being delicious straight or over ice, so we tried it both ways. Drinking it straight, the cider has a nice, sweet, but not overpowering taste that one of my friends said was like “a diet Jolly Rancher.” It is more refreshing than Magner’s or more traditional ciders that are even sweeter. I definitely preferred the cider over ice as it cut down on the sweetness and made the beverage more refreshing. When we poured the cider, it created some foam, but as we drank it, we noticed that the fizziness disappeared almost immediately. I don’t mind flat beverages (the bubbles hurt my nose somehow), but one of my friends said she wished the cider was more carbonated. Throughout the course of the night, I kept my Michelob ULTRA Light Cider on ice nearby and sipped it periodically, but even after several hours of eating and chatting, I wasn’t able to finish the whole glass. I don’t think any of my friends were either. It may appeal to people who want to drink something that looks like an alcoholic beverage but don’t want to get drunk. At 4% ABV, I did not feel the effects of the drink whatsoever. Overall, I felt that this drink was more like a juice than an alcoholic beverage. I don’t mind unnaturally tasting beverages if they are truly low-calorie (e.g., Crystal Light), but personally, I thought that Michelob ULTRA Light Cider’s 120 calories per bottle is too high, and four percent alcohol is too low. Which favorite summer meal or activity do you think would go best with Michelob ULTRA Cider? I'm really surprised you don't have a "to/too" section on your blog. It's as bad as the apostrophe catastrophes.